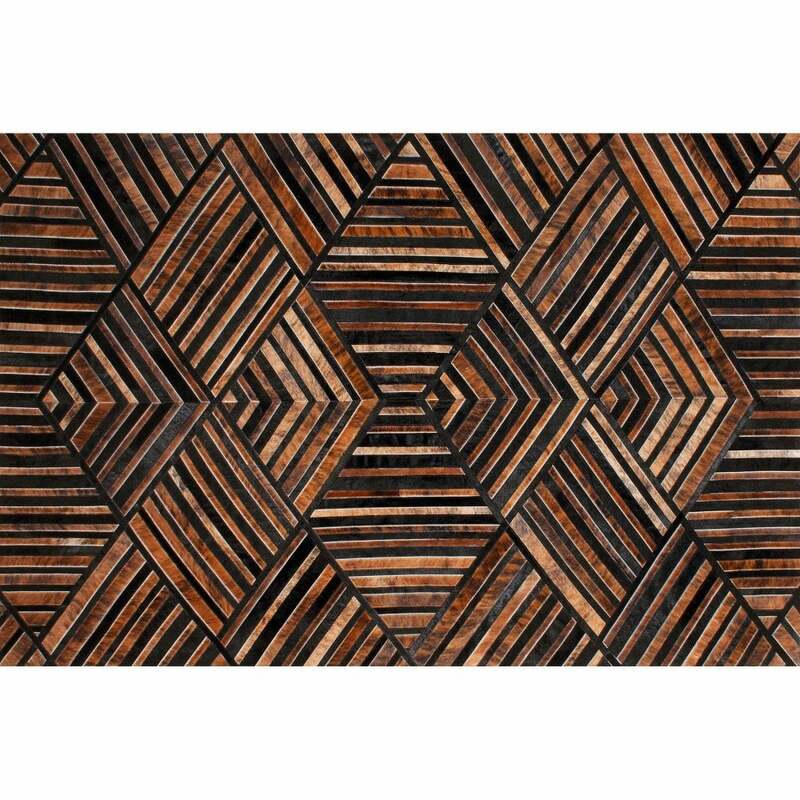 Inspired by the geometric patterns found in Art Deco designs, the Harvest Rug by Serge Lesage features a graphic composition of diamonds and lines. The beautiful shapes form an illusory 3D effect pattern that are enhanced by the harmonious colour palette. Rich chestnut tones complement the deep black flecks and stripes to form a luxurious design that exudes sophistication. Crafted from the finest leather, each piece is hand-sewn with the utmost care and precision. Style with other Art Deco influences such as metallic accessories, mirrored furniture and opulent velvet to create a look that harks back to the golden age of glamour. Bespoke sizes available on request. Make an enquiry for more information.